- Note: Purchase of SnS is required! VMware vSphere Standard provides an entry solution for basic consolidation of applications to slash hardware costs while accelerating application deployment. VMware vSphere, the industry leading virtualization and cloud platform, is the efficient and secure platform for your hybrid clouds. It provides a powerful, flexible, and secure foundation for business agility that accelerates your digital transformation to hybrid cloud and success in the digital economy. vSphere supports both existing and next-gen workloads through simple and efficient management at scale, to elevate the customer experience to an entirely new level; comprehensive built-in security that starts at the core, via an operationally simple policy-driven model; a universal application platform supporting new workloads and leveraging hardware innovations for enhanced performance; and a seamless hybrid cloud experience with easy visibility, migration and management of workloads between on-premises and public cloud. You can now run, manage, connect, and secure your applications in a common operating environment, across your hybrid cloud. VMware vSphere Platinum is a new edition of vSphere, that secures applications, infrastructure, data, and access with the combined capabilities of core VMware vSphere and VMware AppDefense™. It enables a simple and powerful way to maintain existing workflows, while supporting collaboration amongst vSphere Admins, and security, compliance and application teams; making for less disruptive response and remediation in case of a security incident. vSphere Platinum delivers a purpose-built solution that secures infrastructure and applications by leveraging the hypervisor, and the power of machine learning, in a way that is built-in, operationally simple, and with minimal overhead or impact on performance. Unleash a powerful, flexible, and secure foundation for business agility that accelerates your digital transformation to hybrid cloud. vSphere is the industry-leading server virtualization software and the heart of a modern SDDC, helping you run, manage, connect, and secure your applications in a common operating environment across clouds. New advanced security capabilities, fully integrated into the hypervisor and powered by machine learning, provide better visibility, protection, and response times for security incidences. With vSphere, you can support new workloads and use cases while keeping pace with the growing needs and complexity of your infrastructure. Simplify data center operations and management at scale, increase business efficiency, and decrease CapEx and OpEx through virtualization. Take advantage of the latest innovations in hardware to turbocharge the performance of existing applications. Support new workloads and use cases, such as machine learning and artificial intelligence. Balance workloads and prioritize resources to ensure top performance for your critical applications. Extend on-premises environments to vSphere-based public clouds, such as VMware Cloud on AWS, and enjoy a streamlined hybrid cloud experience. Simplify your big data infrastructure management while making it more cost effective. VMware is the best platform for big data just as it is for traditional applications. Minimize downtime with uniform, cost-effective failover protection; easily organize, prioritize, and share data center resources; and provision virtual networking across multiple hosts and clusters from a centralized interface. Get high performance, enhanced availability, larger VM capacity, and disaster recovery capabilities when you migrate legacy Unix infrastructure to virtualized Linux. Move an entire running virtual machine from one physical server to another, without downtime, and gain rich troubleshooting capabilities, including rollback and recovery for patching and updating. Secure applications, infrastructure, data, and access with a comprehensive, built-in architecture and a simple, policy-driven model. Protect apps running on vSphere using machine learning and behavioral analytics to monitor threats and automate responses. Get faster visibility and protection with a scalable solution, no agents to manage, and minimal overhead. Bridge the gap between IT and developers with vSphere Integrated Containers. Leveraging the core capabilities of vSphere, your IT teams can run both traditional and containerized applications side by side on the same infrastructure, without the need for additional tooling or training. Manage your remote and branch offices with little or no local IT staff. Enable rapid provisioning of servers through virtualization, minimization of host configuration drift, and enhanced visibility into regulatory compliance across multiple sites. Use Cases Consolidate data center hardware and enable business continuity through server virtualization, VM-aware storage and live migration capabilities. Share data center resources across the boundaries of clusters. Get stronger virtualization security with enhanced endpoint protection. Enhance application performance and availability to boost your business productivity with vSphere. Take control of resource management. Load balance workloads and prioritize access to resources to ensure top performance for your most important applications. Rapidly provision and deploy workloads in your virtual environment and move an entire running virtual machine from one physical server to another with no downtime. Secure applications, infrastructure, data, and access with the combined capabilities of core vSphere and VMware AppDefense™. Deliver enhanced visibility and protection with simple, lightweight and scalable security with no agents to manage, and minimal overhead. VMware Basic Support is designed for non-critical applications and platforms that require support during normal business hours. Our global support centers have been strategically placed to provide you with fast and efficient access to the support center in your region. Each center is staffed with engineers that can provide industry-leading expertise in virtualization and years of experience supporting virtual infrastructure products in real-world customer environments. We are committed to delivering enterprise-class, worldwide support with a single objective in mind: your success. Technical Support, 12 Hours/Day, per published Business Hours, Mon. thru Fri.
VMware Production Support is designed with your production environments in mind. Our global support centers are staffed around the clock to provide you access to our industry-leading expertise in virtualization and years of experience supporting virtual infrastructure products in real-world customer environments. We are committed to delivering enterprise-class, worldwide support with a single objective in mind: your success. 1 Hours of operation for Gemstone are Monday – Friday, 8 a.m. to 5 p.m. (PST/PDT). Severity 1 issues are responded to 24x7. 2 Product updates and upgrades are not included with Basic Support and Subscription Service for SUSE Linux Enterprise Server (SLES) for VMware. Product updates and upgrades are not included with Production Support and Subscription Service for SUSE Linux Enterprise Server (SLES) for VMware. 3 VMware Fusion Professional and VMware Workstation require a minimum of ten (10) licenses in order to purchase Basic support. VMware Workstation requires a minimum of ten (10) licenses in order to purchase Production Support. 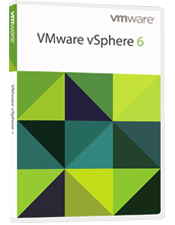 Download the VMware vSphere Datasheet (PDF). VirtualizationWorks.com is a division of Virtual Graffiti Inc, an authorized VMware online reseller.